The Gay Gamer: The day finally has come - Kid Icarus on the Wii VC! The day finally has come - Kid Icarus on the Wii VC! This is the day I've been awaiting for quite some time--the day Nintendo finally makes available Kid Icarus on the Wii Virtual Console. 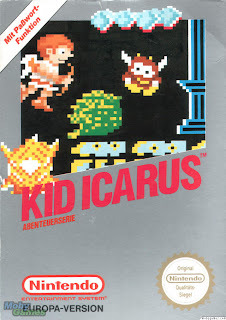 I know some gamers could care less, but Kid Icarus was one of my favorite NES games (and thus one of my favorite games overall). Also available today are two other NES classics: Ice Climber and Kirby's Adventure. I'm going to pass on Ice Climber, but I may have to pick up Kirby as I've never played it but have heard good things about it.